Support The Hustle: Zombie Attack!!! 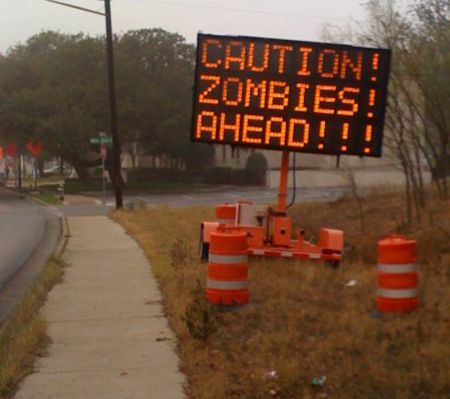 Apparently there are zombies on the road ahead. Hackers switched the message that it was being displayed on this electronic road sign near the University of Austin last week. 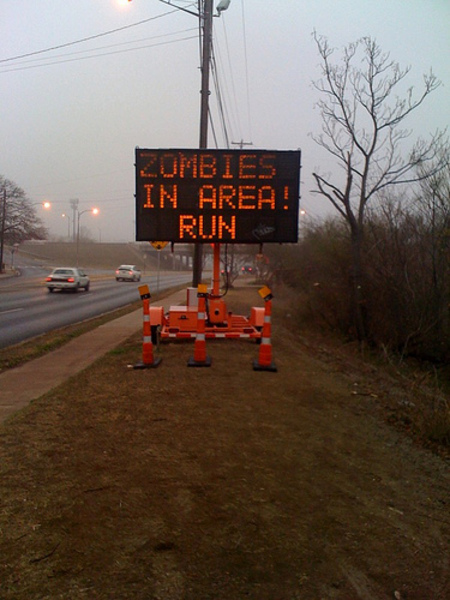 This sure takes zombie-invasion warning to a whole other level.